To claim this profile, please confirm you are Ariel Morant. To follow this profile, please let us know your relationship to Ariel Morant. The Jacksonville varsity basketball team lost Tuesday's neutral playoff game against Russellville (AR) by a score of 62-60. This game is part of the "2019 Girls Basketball State Tournament - 5A Girls Basketball 2019". Ariel's basketball stats have been updated for the win @ Hall. The Jacksonville varsity basketball team won Thursday's away conference game against Hall (Little Rock, AR) by a score of 62-40. Ariel's basketball stats have been updated for the win @ Maumelle. RESULTWin Girls varsity basketball @ Maumelle. The Jacksonville varsity basketball team won Tuesday's away conference game against Maumelle (AR) by a score of 74-57. Ariel's basketball stats have been updated for the win vs. Watson Chapel. RESULTWin Girls varsity basketball vs. Watson Chapel. The Jacksonville varsity basketball team won Friday's home conference game against Watson Chapel (Pine Bluff, AR) by a score of 47-36. Ariel's basketball stats have been updated for the win vs. Sylvan Hills. RESULTWin Girls varsity basketball vs. Sylvan Hills. The Jacksonville varsity basketball team won Tuesday's home conference game against Sylvan Hills (Sherwood, AR) by a score of 66-48. Ariel's basketball stats have been updated for the win @ Parkview. The Jacksonville varsity basketball team won Friday's away conference game against Parkview (Little Rock, AR) by a score of 69-37. Ariel's basketball stats have been updated for the win vs. White Hall. RESULTWin Girls varsity basketball vs. White Hall. The Jacksonville varsity basketball team won Tuesday's home conference game against White Hall (AR) by a score of 54-19. 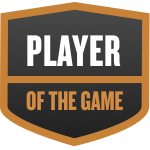 Ariel was selected the Player of the Game in the basketball game against Pine Bluff on Fri, Feb 01 2019. Congratulations to #4 Ariel Morant for being selected the Jacksonville Girls Basketball Player of the Game. Ariel's basketball stats have been updated for the win @ Pine Bluff. The Jacksonville varsity basketball team won Friday's away conference game against Pine Bluff (AR) by a score of 59-35. Ariel's basketball stats have been updated for the win vs. Hall. RESULTWin Girls varsity basketball vs. Hall. The Jacksonville varsity basketball team won Tuesday's home conference game against Hall (Little Rock, AR) by a score of 54-45. Ariel's basketball stats have been updated for the win vs. Maumelle.